I think there are at least two good ways to make Biblical art (films, music, paintings, etc.). One is to challenge the source material, whether artistically or theologically. This can mean reinterpretation, or greater scholarship. The musical Jesus Christ Superstar comes to mind as a successful example. The other way is to create a work that isn't likely to offend anyone, but is epic. 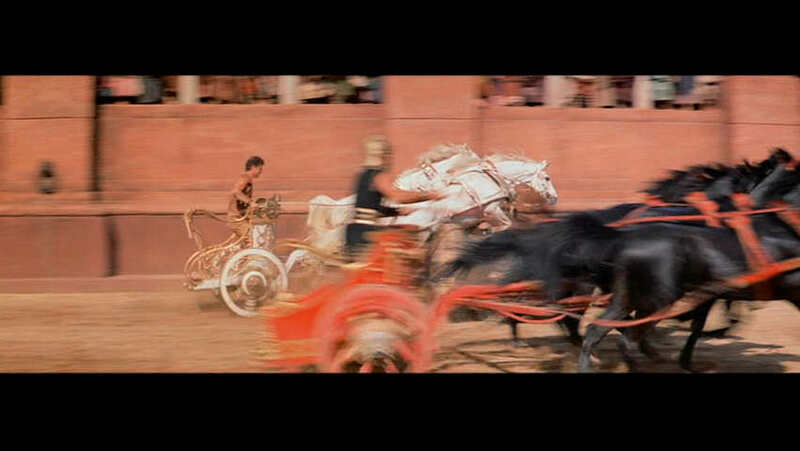 Ben-Hur (1959) is such an epic. I don't think you can successfully show religious material and be tame. You gotta go after it in a big way, regardless of which approach you take. 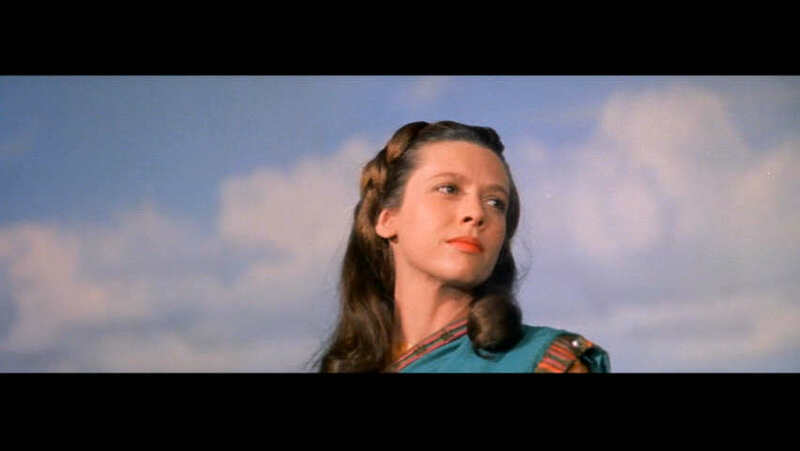 Like Doctor Zhivago, Ben-Hur is very long (almost four hours), begins with an orchestral Overture, and includes an Intermission and orchestral Entre-act. It's a beautiful, well directed and well acted film. 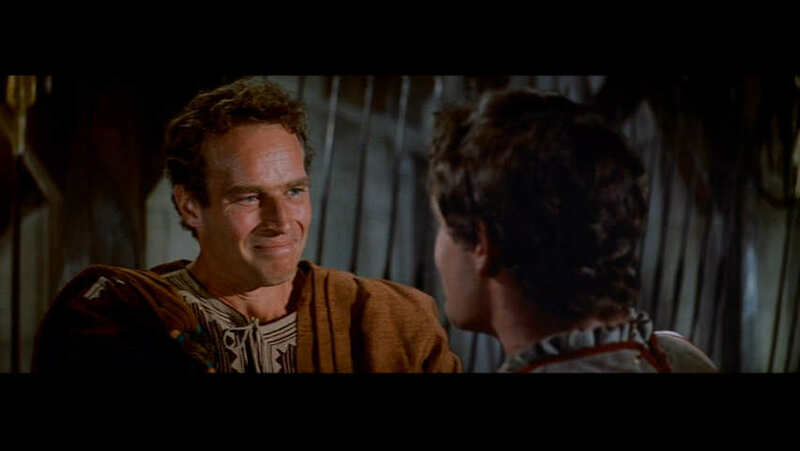 Taking place between 1 and roughly 35 A.D., it's the story of Judah Ben-Hur side-by-side with the the emergence of a young Rabbi, Jesus of Nazareth. Ben-Hur is, in my opinion, primarily a Jewish tale. Jesus was Jewish, of course, and the separation into Christianity didn't occur for many decades. 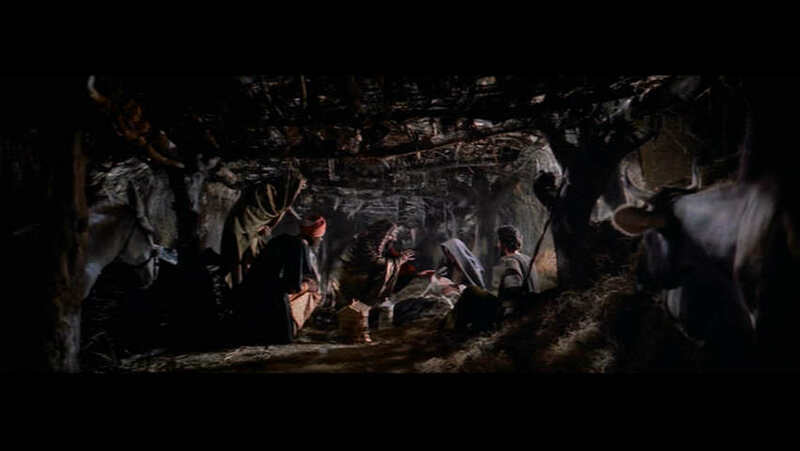 The few scenes involving Jesus are well done, never giving his face or voice, more effectively revealing his impact through the reactions of the other characters. The movie captures the politics and culture of Roman rule in Judea that will ultimately give way to Jewish control (and, sadly, two more millennia of Middle Eastern destruction as that control is challenged). 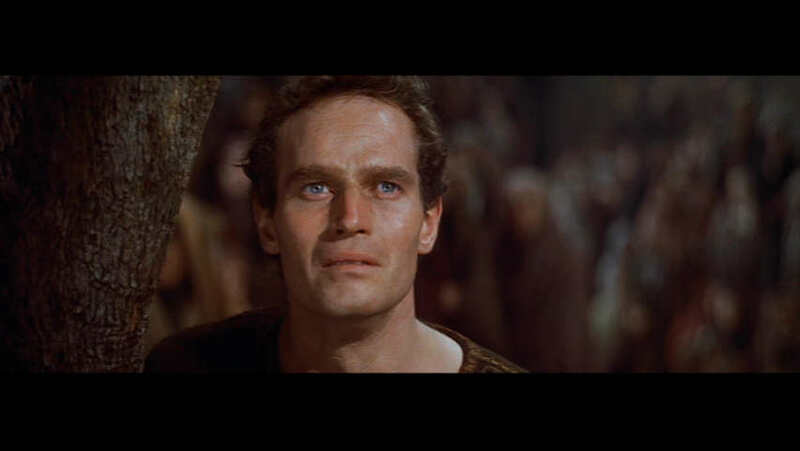 Charlton Heston portrays the most rugged Jewish man in history. He does a great job, moving believably from peaceful, elite non-violent man, to vengeful slave, to lover, to savior of his family. 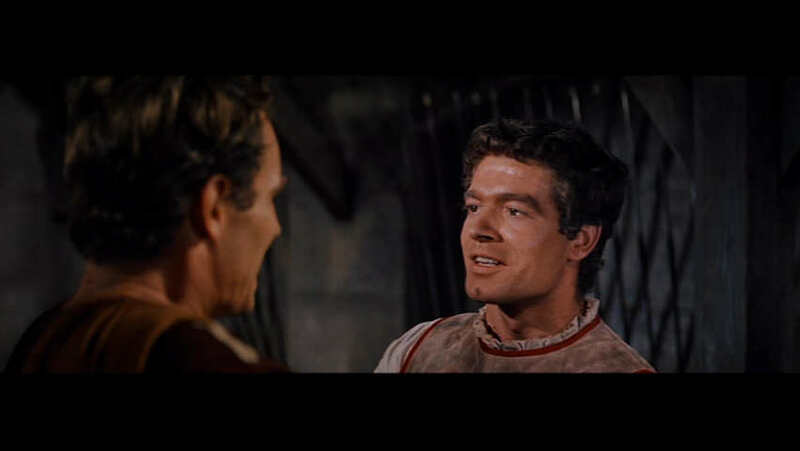 His feud with one-time friend Messala, played handsomely by Stephen Boyd, is of course the metaphor for the history surrounding them. 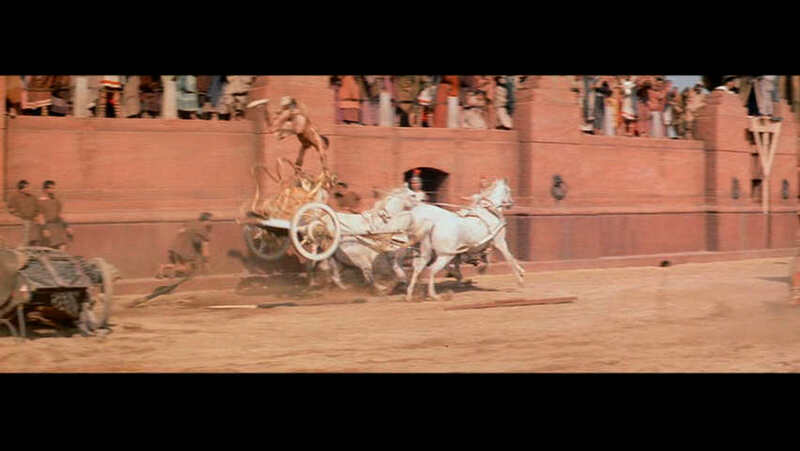 The famous chariot race is simply amazing. According to the IMDB, it used 15,000 extras on an 18 acre set, and took five weeks to film. I didn't know that this film was a remake of an earlier silent version, Ben-Hur: A Tale of the Christ (1925). That movie is supposed to be just as excellent, perhaps more so. I'll have to rent that some day. I must mention one other thing. The score by top composer Mikl�s R�zsa is terrific. This is a film that can be enjoyed, I think, by those of any beliefs. I certainly recommend it. This looks just like those watercolor images used in the Bible kids books that were kept in doctors' waiting rooms when I was a kid. The beautiful May McAvoy. As usual, the women have far more sense than the men. 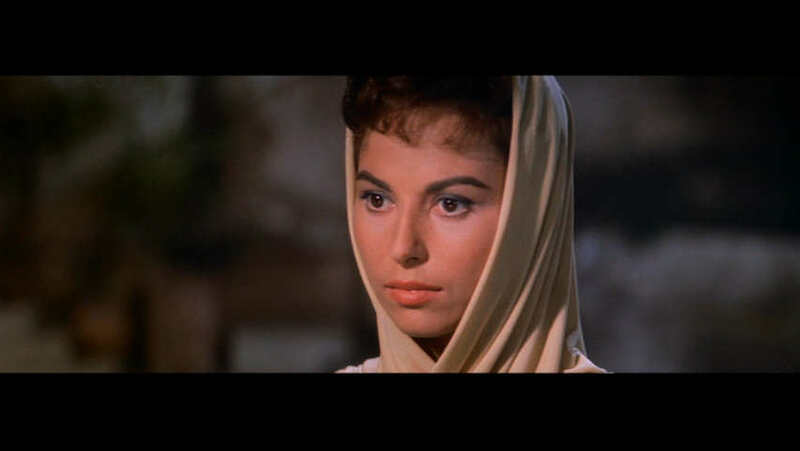 Equally beautiful Kathleen Kay who, sadly, had limited screen time. 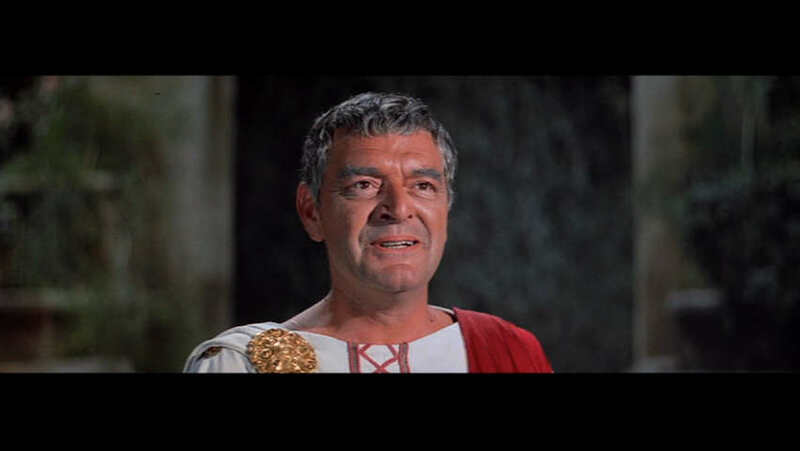 Commendable work from Frank Currier as Judah's Roman adoptive father. Mitchell Lewis is one of my favorite characters, and he utters the best line in the movie. 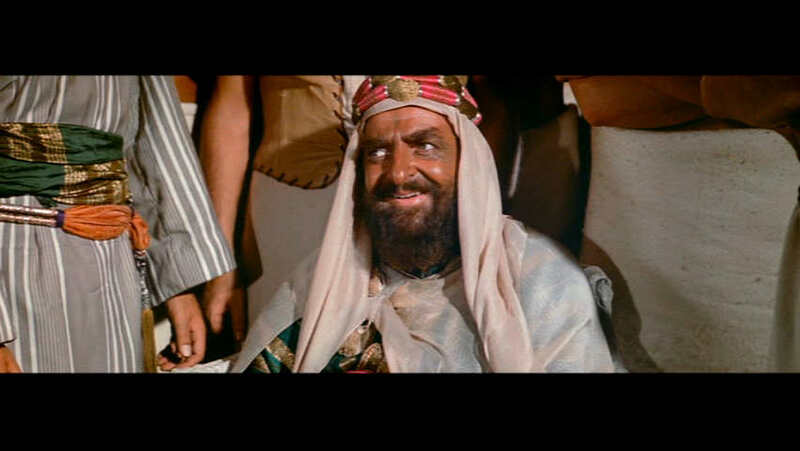 After Masala accepts his wager on the chariot race with a scoffing "A Roman is ten times a Jew--or an Arab. ", Sheik Ilderim chuckles and comments, "Bravely spoken." What you see here is the white horses jumping over a broken chariot in their path. And here, you see the stunt man being flung up over the chariot. He somehow managed to keep his grip and return to the chariot with only a few bruises. Heston in a pinnacle moment.